The PlayGarden is closed Mondays for maintenance. Inclement weather closes the park. Please follow us on Facebook for updates on park closures, hours, and program details. 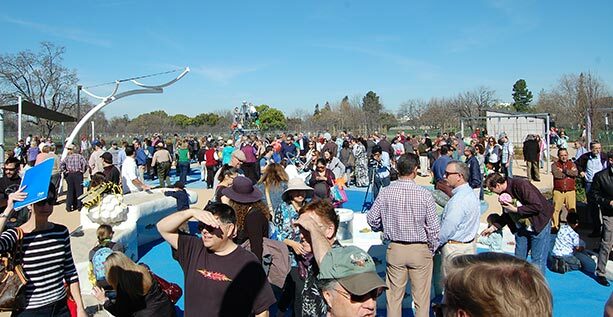 The Rotary PlayGarden, the Rotary Club of San Jose’s centennial gift to our community, opened in May 2015. 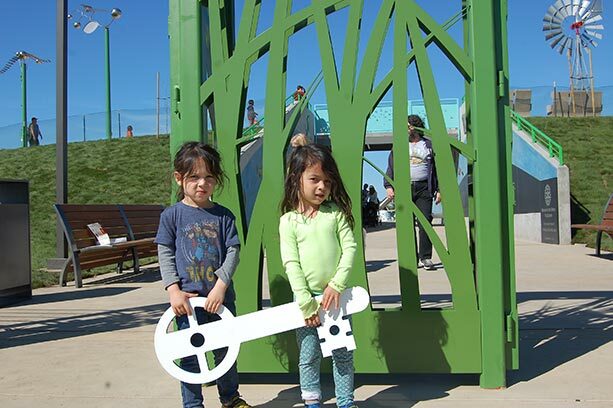 The $6 million PlayGarden enables children with special needs to play alongside their siblings and friends and is maintained by Guadalupe River Park Conservancy staff and volunteers, in-kind donations, and fee-for-service contracts. Please Note: The water feature is not operating at this time and will remain off until an environmentally-friendly and safe way can be found to operate it. We apologize for any inconvenience. Two seating areas are available for reservation. Proceeds support PlayGarden operations and maintenance. Select “Picnic” as Type in the right-hand corner. Available times are displayed in orange; click to select and book your reservation. Why not PLAY and LEARN at the same time? 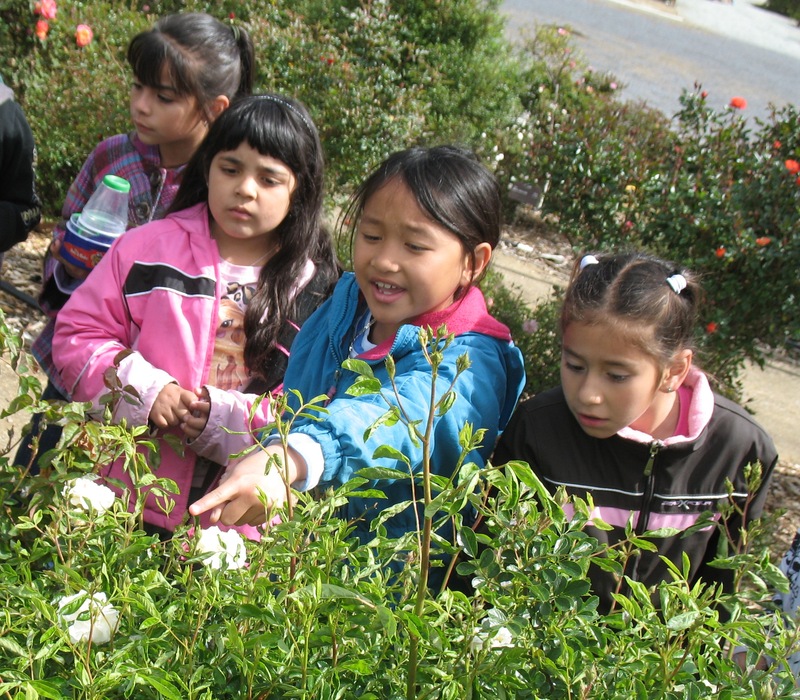 Here at Guadalupe River Park Conservancy, we are passionate about educating our youth on a variety of environmental topics. Rotary PlayGarden education programs are hands-on, interactive, and take place in the Amphitheater (unless otherwise noted). This program is an early introduction into environmental science. 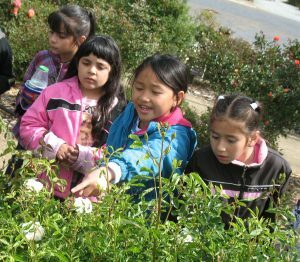 Designed for children age 3-6 years old, this FREE, DROP-IN program is taught by Guadalupe River Park Conservancy environmental educators. Topics include: rivers, birds, and more! Want to join the BEE fun? Drop-in every Wednesday (English) and Friday (Spanish); rain or shine – no sign-up necessary! Click here for more information (including program restrictions). Want to stay updated on our themes and topics? “Like” us on the Rotary PlayGarden Facebook for the most up-to-date information. Provide a photo ID with an address and you can check out an Adventure Pack from the Rotary PlayGarden attendant at no charge! You can use the pack to explore Guadalupe River Park & Gardens, or simply use the Adventure tools in the PlayGarden while you play! Where and how do I check out an Adventure Pack? Packs can be checked out Tuesday through Sunday at any time from 10am to one-and-a-half hours before the park closes and must be returned the same day they are borrowed. 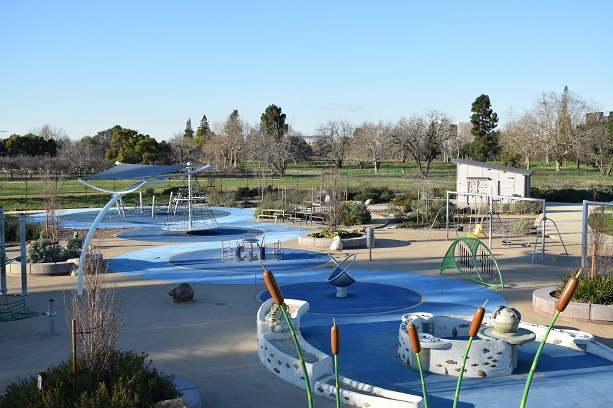 Adventure Packs are available from Guadalupe River Park Conservancy at the Guadalupe River Park & Gardens Visitor and Education Center (438 Coleman) on Mondays when the PlayGarden is closed. The only difference is that the packs need to be returned by 4:30 pm. 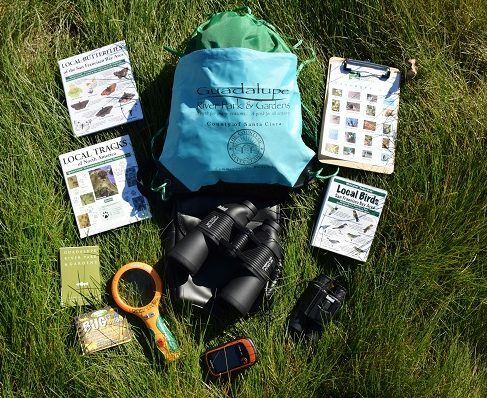 Adventure Packs are provided by Guadalupe River Park Conservancy with many thanks to the Lennox Foundation for underwriting this free family activity! One of the ways we are raising money for the maintenance and programming of Rotary PlayGarden is through bench dedications. For a tax-deductible donation of $5,000 (small bench) or $10,000 (large), the donor’s name or dedication stays on the bench for five years. 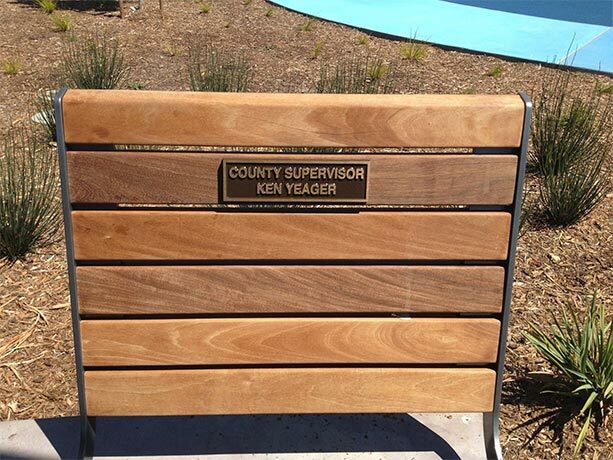 We appreciate County Supervisor Ken Yeager for being among our first sponsors! Please share this with anyone who might be interested in preserving a clean, safe place to play for all. Annual Installment Option — You can opt to pay in a single lump payment or in annual installments over five years. To pay in installments, select the installment option from the bench drop-down menu AND the Five Annual Installments option from the menu below Quantity. Inscription — Let us know what your plaque should say. You can use the photo above as a rough guide of how many characters you can use.